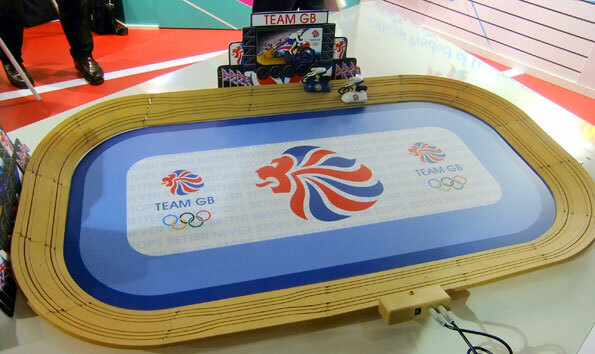 Legendary toy maker Hornby took the opportunity of the London Toy Fair finished today to announce a series of London 2012 Olympics-related themes; among them a Scalextric version of bicycle track racing. 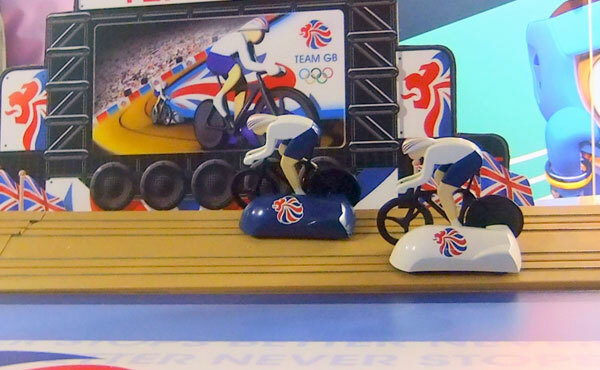 The phenomenal success of Team GB’s track cyclists at the last two Olympiads has inspired the designers at the Scalextrix brand to come up with their own version of velodrome racing. The sets won’t be available until late September 2011 in good time for the Christmas season but top level negotiations have already taken place to secure a review sample. Don’t worry readers – we’re ready to put in the hours so you know just how worthy Scalextric Olympics 2012 Velodrome Edition is for your Santa list. Price will be £74.99 but one potential pitfall we can already see is that both riders appear to be wearing GB skinsuits. Either the elves need to be convinced to come up with some Aussie kit for one of them or we dare to dream of a Sir Chris Hoy vs Jason Kenny final. Which one would you put on the inside track?